We, Blowvacc Enterprises, started working in the calendar year 2009, as an ISO 9001: 2008 certified, exporter, manufacturer, supplier, wholesaler, trader and retailer of Blowers, Pulleys and Valves. Our offered retail products such as Roots Twin Lobe Type Blower, Positive Displacement Blower and Air Blower are highly acclaimed by the clients. We have always ensured that the twin lobe blower is very efficient in conveying and blending the air and gas. Further, our offered positive displacement blower is capable of delivering excellent performance in both the single and double stages. 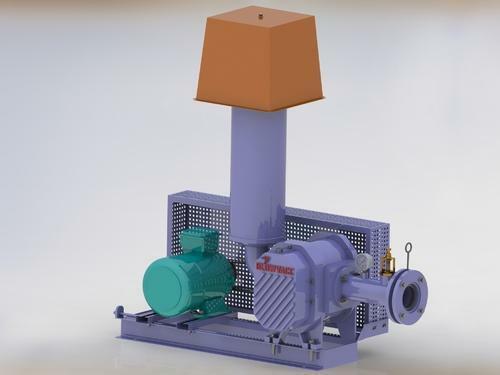 Additionally, our offered air blower is very useful for the processing and conveying of gas and air, in production industries such as cement industry and construction industry. Further, our offered gas blowing products are highly liked by the industrial sectors dealing, in construction material productions. Additionally, we are service providers for the Repair Services of old and used air blowing equipment. We have a very large and spacious infrastructure facility which is well equipped with all the machinery required for the manufacture of blowing equipment and tools. Our facility is very well segregated into separate sections for production, quality assurance, warehousing, packaging, logistics and administration. Further, our clientele includes production industries, across the world.